After the start of the Civil War, Emily Hudson-an orphan who lost her family to consumption and fever-finds herself the begrudged guest at the home of her relatives in Newport. Emily's longing to be an artist is dismissed by her puritanical uncle, who wants nothing more than to rid himself of her through marriage. Her only friend is her aesthete cousin, William, an ailing young writer. When a promising engagement to the eligible Captain Lindsay is broken, William rescues Emily from an uncertain future by taking her to England. Lonely and desperate to escape her cousin-once her confidant, now her obsessively controlling patron-Emily sets out alone to meet her destiny in the eternal city of Rome. 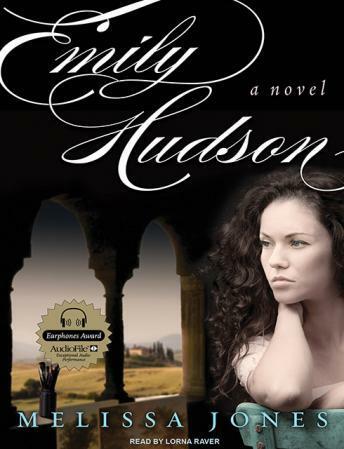 Reminiscent of the novels of Edith Wharton, Emily Hudson is an exquisitely told tale about a heroine struggling to be true to herself and to also find love in a society where only marriage or an independent income guaranteed a woman the freedom to do as she pleased.